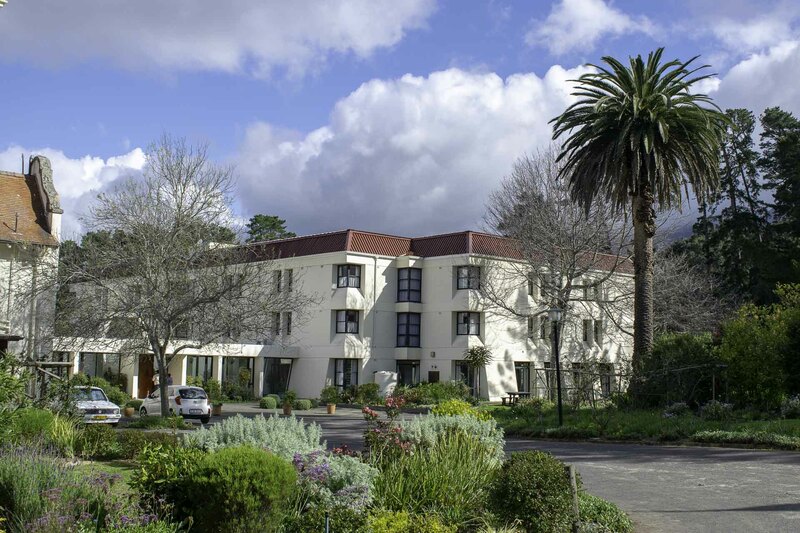 The provincial house of the Schoenstatt Sisters in South Africa is located in Cape Town, in the beautiful suburb of Constantia. 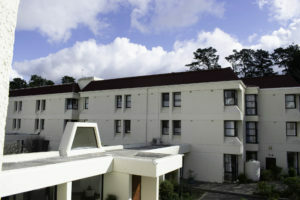 The “new” section of the house was built in 1976 and has been a home for the Sisters who work in various parts of South Africa as well as in Kenya, Scotland and Ireland. 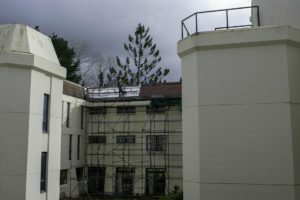 Over the last few years, the roof has been severely damaged and, despite constant repairs, rain water flowed into several of the sisters’ rooms, hence the need for a new roof. 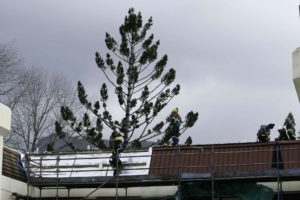 After several months of work and much prayer, the new roof is almost complete, to the relief of the Sisters who patiently bore the constant banging, drilling and other ‘joyful’ building noises. Due to the current drought in Cape Town, the City has implemented necessary strict water restrictions. 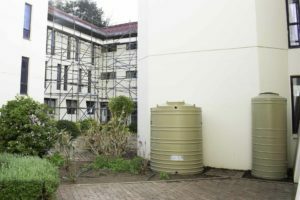 Many buildings have been installing new systems to conserve this precious gift of water and the Archdiocese of Cape Town has encouraged parishes and communities to find ways of saving water. For many months now, the Sisters have been praying daily to Our Lady after Holy Mass for a relief of the drought. We are grateful that this winter has given us a good rainfall and that the dams are now filling up. However, conserving water remains a priority. Thus we are installing large water tanks in strategic positions around the house. These JoJo tanks will collect rain water which will be filtered and used for various household purposes, flushing toilets, cleaning and watering of the garden. The Sisters have also attended workshops focused on how to save water and have installed water – saving showerheads and taps as well as implementing other water – saving strategies. 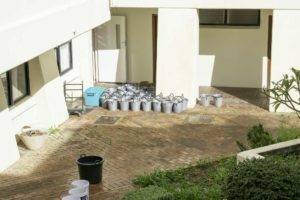 Being able to conserve more water becomes strategic since our home has been opened up to many guests and visitors to Schoenstatt. Previously, our guests were accommodated in the Training Centre which was built fifty-four years ago. Due to the layout of the house, the lack of an elevator and the absence of en suite rooms, it became increasingly difficult to address the needs of many of our visitors. Thus the Training Centre, which is just a short walk up the hill from the Shrine, has been transformed into student accommodation with some meeting rooms and the large hall still available for groups. 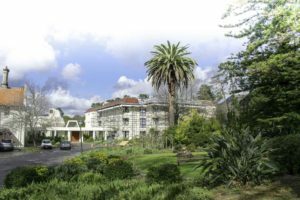 Overnight visitors attending workshops, guests from overseas and the many who come as pilgrims to enjoy the beauty of Schoenstatt, are accommodated in the Provincial house, in close proximity to the Shrine. It is a great joy for the Sisters to be able share their home with many people. Many comment on the prayerful and peaceful atmosphere of the house and they are very happy to be with the Sisters. We are delighted that with the completion of the new roof, we will be able to continue to provide this space not only for our Sisters but for many others.